Hey, join me on Snapchat! 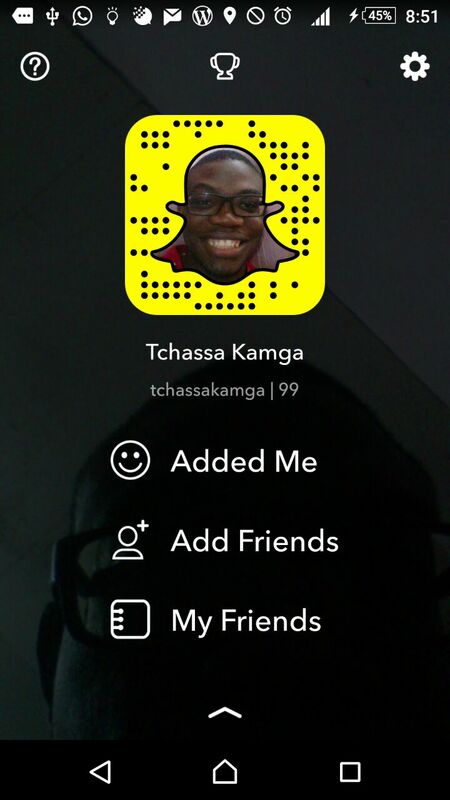 If you are on Snapchat, don’t bother reading, just add me. If you are NOT on Snapchat, I totally understand…how can you not be??! Here is why I use Snapchat. And why you should too. First, I’m not an expert. I could be wrong and you probably should stop reading this ( please don’t stop reading this). But you can read about the evolution of snapchat as well as how to use it for your personal branding and marketing. The articles are on Gary Vaynerchuk’s website. If you know that name, you know you should head there. If you don’t…well…head there. Second, I just started using 👻 seriously a couple of weeks ago. So, again, I’m no expert. Don’t listen to me. Just add me on Snapchat. Now, let me tell you why I love Snapchat. 1. It’s virgin territory with a lot of potential. I think companies, right here in Cameroon, will start using it as a marketing tool in a few months. I can comfortably predict that MTN will be the first. 2. Video messages! Are you kidding me?? If you’re a WhatsApp voice note person, imagine seeing the person! Plus you can choose to send your 10 second video either to individuals or to your story. And you can save them if they are awesome enough. 3. I use it to talk directly to my readers and followers. It’s more personal and less scripted. Plus it’s 10 seconds. Perfect for a fast pitch. Hit me up whenever you are online. I would love to show you ( and see your ) goofy awesomeness. 4. If I’m wrong, at least I tried. Do you have any difficulties using Snapchat, I strongly suggest you visit Gary Vee’s website and do a search there. He has totally covered the topic and a lot more. Especially on his #ASKGaryVee Show on Youtube. DJ Khaled ( You’ve never seen a DJ like this guy. He is KEY). But if you still want to ask me anything, just leave your question in the comments. Or, better, ask me in a Snap. P.S: How was your day?